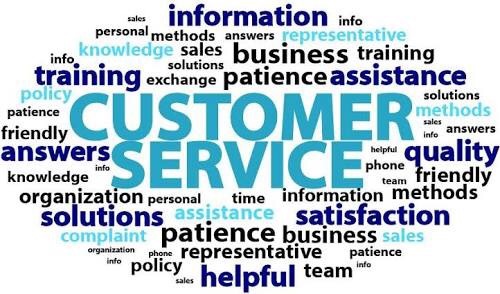 I laboured over this post a bit before writing it, as client service, account service, customer service, good service, means so many things, to so many people. In context, this post relates to much of the interaction I receive/experience in my day to day at Inhabit. What I get on the weekend whilst spending time with my family or friends would be a somewhat truncated version. So. The ideal vendor. Does such a thing exist? – Delivers in a timely manner. Delivering ahead of schedule isn’t necessarily all it’s cracked up to be, as the nature of many projects is there are dependencies working to their own timeline that need to synchronise efficiently e.g. Staff availability, concurrent projects where outputs are relied upon etc. – Represents value for money. What does a large budget equate too if the delivery by the client is perceived to be minimal? Bloated process? Systemic inefficiency? Covering up for legacy inadequacies? Conversely, if it’s too cheap, the questions of “what’s been missed?” are placed in the foreground. – Quality. I don’t think anyone likes shoddy or is prepared to pay for it. If they are, it’s because they haven’t been educated or understood the value of the product or services in the first place. A conscious decision to buy second rate is driven by other factors that the pain, increased risk and costs are outweighed by the imperative to address fit for purpose quickly, with a “near enough is good enough” mentality. – Answering the questions that haven’t been asked. Ostensibly, the reason experts are engaged by business in the first place is that the business need is for experienced people to deliver a quality result near as possible to the happy median of the trinity of “On Time, Quality, Within Budget”. Part of this is anticipating where possible, future business need and the pitfalls associated with a given course. – Meets expectations. Exceeding them would be a bonus. All that most business wants is to have what is stated met. The discussion and validity of what is stated is what becomes the focus. Delivery and fulfilment should be a by product. – Honest. Nothing irritates people more than a vendor who is misleading and is deceptive. The only thing this leads too is distrust and misalignment of expectation. – Knows when to say “I don’t know, but I’ll find out”. Since when was it a problem to not know something? Sometimes there are complex or difficult questions that have to be asked. It is the nature of high performance business that are leading the Industry in profitability and market share that their business process has elements of uniqueness that make up part of its competitive advantage. When difficult and complex questions are posed, many vendors make the mistake of trying to answer the question on the spot, rather than digest it and return back a day or two later with a measured response. They don’t understand the tabling of such questions is not with the intention of seeking an immediate answer, rather working with a group of people who are better equipped and experienced to structure a cohesive and logical response. If I receive the above, than, I count myself lucky and consider that good service and will return for more.